Server hardening is as straightforward as it can get. Hardening, in general terms, is the action in which a material, soft by its nature, is modified in order to make it more durable and damage resistant? This is exactly what happens to a server when a company opts for hardening services. To be more specific, in order to harden a server, one must install additional software which helps prevent or resist attacks from hackers, viruses or any other internet threat that is out there. You can increase the life span of your server by a significant amount if you chose to benefit from server hardening service. Hardening your server’s security is a must. No matter the system used, security is not of the main priorities when freshly installing it. In fact, aspects like usability and functionality are accentuated when the specific software is created. You can go as far as saying that, at the beginning of a server’s life, it has little to no protection whatsoever. Even if talking about a small business, a minimum amount of security is essential. Not only will the server be less prone to external attacks and encounters, but it will keep your information away from unwanted hands. As the business grows, the security level should be increased as well. There is never a limit when talking about server safety. By not hardening your server’s security systems, you are giving an open invitation to viruses to infect all of your precious data. It might not sound that plausible when you first start out, but take note that viruses don’t take into account the importance of a server – they just want it down. With eLite Server Management services, the fear of an infected server goes away completely. All you have to do is request our services. We take care of the rest. We are accustomed to all of the possible external negative encounters with a server. With keeping everything up-to-date, keeping those shields up are the main incentive here at eLite Server Management. Working round the clock for your safety, there is not one moment that slips us when it comes to server hardening. Our team of trained professionals are always looking for better ways of keeping you safe and sound from all the bad and the ugly out there. Your server is in good hands, at all times. Most important, you don’t have to do as much as lifting a finger. We take care of all of it! 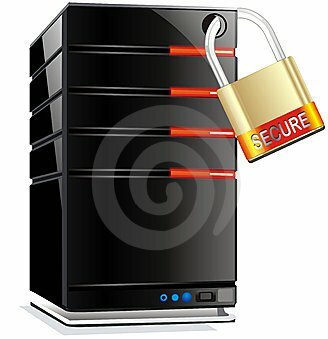 We are specialized in getting your server shielded by all possible attacks. You don’t have to bump your head into issues like data encryption or server software minimization. It is our job to provide the best possible service you can get on the market. When saying eLite Server Management, you do not say a company’s name, but a solution to all your server hardening service’s needs. CHKRootKit : Detect hacker software and notifies via mail. Sysctl.conf hardening: TO prevent spoofing and dos attacks. RootKit Hunter: Rootkit scanner is scanning backdoors and exploits. CSF Firewall: CSF policy based iptables firewall. Brute Force Detection: Detecting and protects your web servers from Brute Force Attacks by blocking suspect IP addresses. Clam AntiVirus : The scanner searches your server for malicious programs. Linux Malware Detect: The LMD is malware scanner. Disable Anonymous FTP Access : To prevent anonymous users from uploading files to your server. cPanel Update: The latest version of cPanel running. Mod_Security: Mod_security is an apache module that helps to protect your website from various attacks. Apache Optimization: To improve Apache performance. Shell Fork Bomb: prevent users with terminal access (SSH or Telnet) who attempt. Secure PHP: – To disable certain functions for security. System Integrity Monitor : SIM is a system and services monitor. Root Login Email alert : Shot email while login server. DNS Attacks: To protects your server for DNS amplification attack.